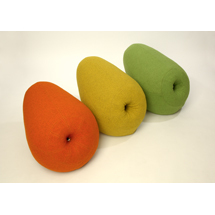 This pouffe are a cross between a piece of furniture and a musical instrument. It is a humoristic piece of furniture that makes different cow sounds when you sit on it. 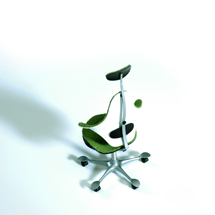 Equilibrium is a work chair for balanced movement. The chair looks lighter than other similar products, while the hugging back provides a sense of security. 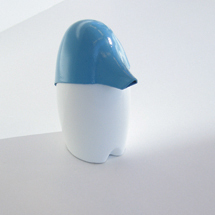 The toothpaste dispenser Glenn is distinctive and innovative. he dispenser has been designed to stay standing on the sink. Although it was primarily designed for children, it is suitable for everyone.